Despite the growing need of women to get into the tech industry, startup kano has taken the challenge to push for more women participation in the technology industry with their women in technology program. 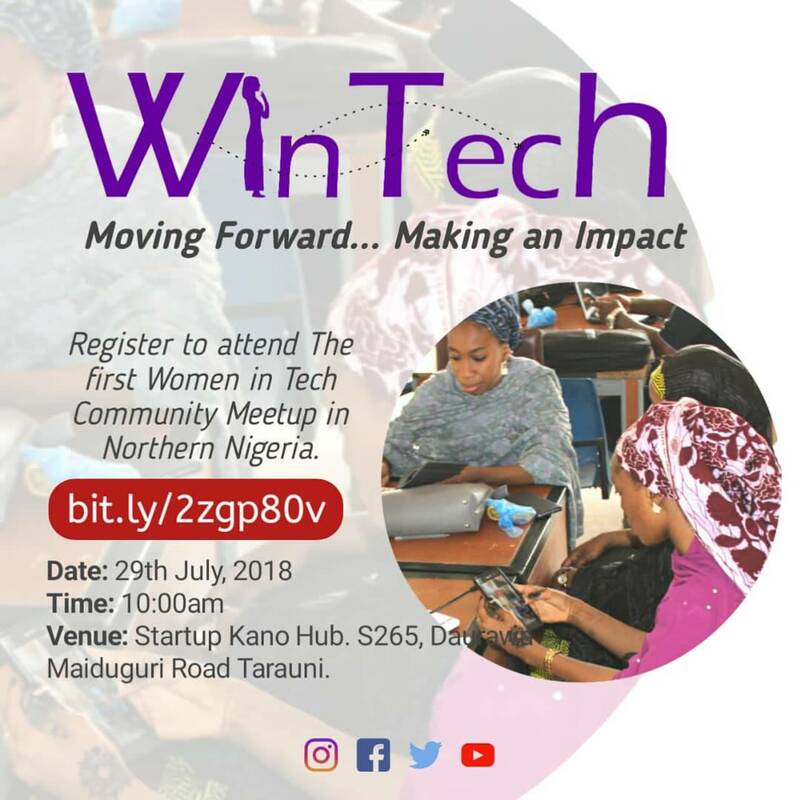 On 29th July 2018 Wintechng, the first ever women tech community in Northern Nigeria hosted their first meetup in Startup Kano hub with over 80+ Women in attendance, which has never happened in Kano. The event was hosted by Aisha Tofa (CEO startup kano), Sa’adat Aliyu(Android App Developer)Aisha Hameed(Colead facebook developer circle). participation in the technological development of Africa and world at large. Part of it is getting women already in tech to share their stories of how they started and some of the challenges and how they overcome it to get to where they are present. We had few Ladies who came all the way from Maiduguri and Gombe just to attend the event some spending over 6hrs on the road, the event is all female event from the technical team to the Photographers and the organizers. 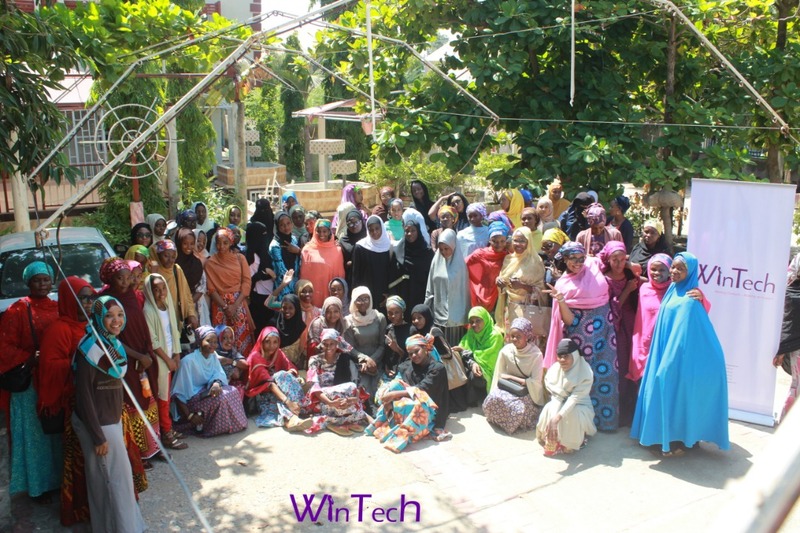 Majority of the ladies were able to be free to talk with each other and have gotten lots of feedback from them about their challenges in tech and how they think Wintech will solve it. technology industry with a view to turning them into opportunity. 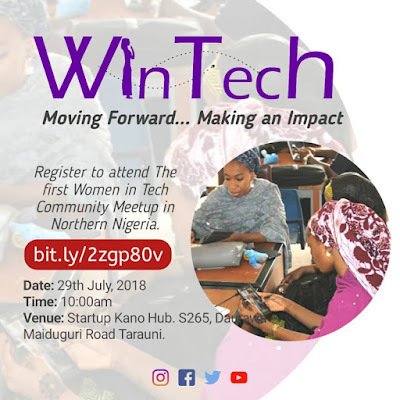 The Event targeted all women both techies and non-techies to have a grasp on the tech ecosystem and how we can come together and bring change! The event is a total success considering the turn-up and how the ladies collaborate by asking questions and giving comments about the new change!